Whakapata Cottage was the original homestead on the Elworthy property. Built in the early 1900’s many original features have been retained. Honey coloured floor boards, vintage furnishings and French doors opening onto a traditional verandah give the cottage an olde world charm. Nestled in the sheltered valley the mature garden attracts abundant bird life, including a resident family of quail to welcome you. The sunny back lawn is the perfect spot to begin unwinding with a glass of wine whilst contemplating your adventure ahead. 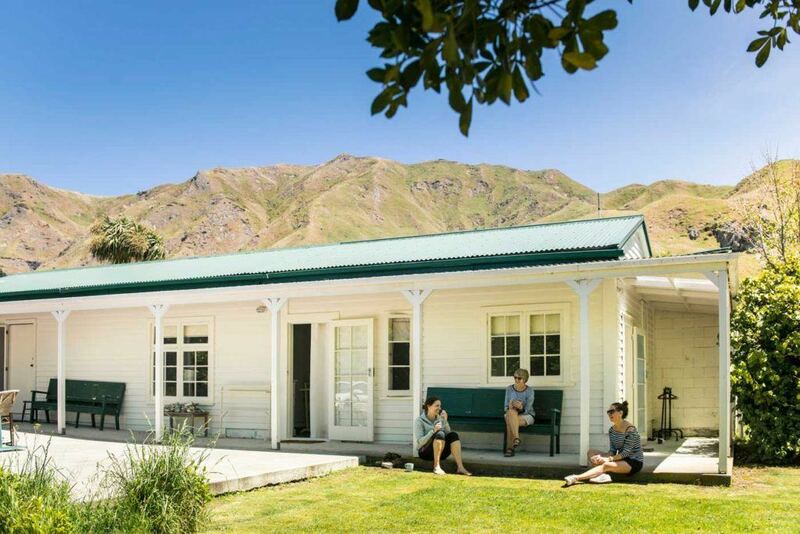 Stony Bay Lodge is a recent addition to our accommodation offering. Completed in 2014, we’ve had the lodge architecturally designed and purpose-built for Night Two of our Walk. 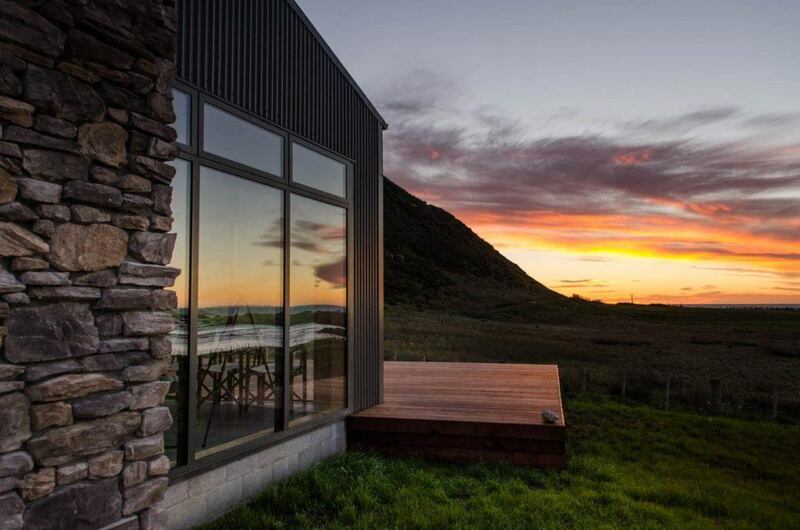 It’s airy, spacious and supremely comfortable, with huge glass doors and windows that offer jaw-dropping views of the coastline and the ocean beyond. It’s also a bit of a labour of love. For example, you’ll see the deer antler chandelier hanging in the living area, which is made from antlers found on our farms. It also has a window seat that walkers love parking up in, whilst enjoying a pot of tea or a glass of wine, and soaking up the coastal views. It has plenty of modern facilities, including a dishwasher, wine fridge and wi-fi, for those who feel the need to connect with the outside world! The Shearer’s Quarters at Jenny and Chris’s farm “Greentops” has a wonderful history. It was purpose built by the Returned Serviceman from World War 2, who settled there on their return in 1950. Shearing gangs stayed until 1995, when it was then converted into rustic accommodation for the Tora Coastal walkers. A loggia, or outdoor room, has been added for spacious outdoor living. 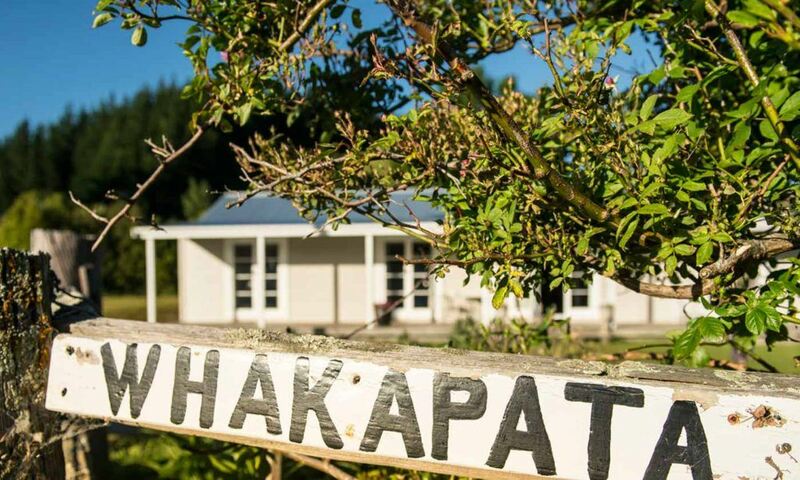 Special features include a 3-metre long matai table made some years back by Chris’s dad – perfect for walkers to gather around, to discuss the days’ adventures, enjoy a glass of wine and their home-cooked evening meal. Walkers wake the next morning to a melodious dawn chorus from a multitude of native birds. 4 singles, 4 singles, 3 singles, 8 singles in an L shaped room with divider to make 2 beds more private.